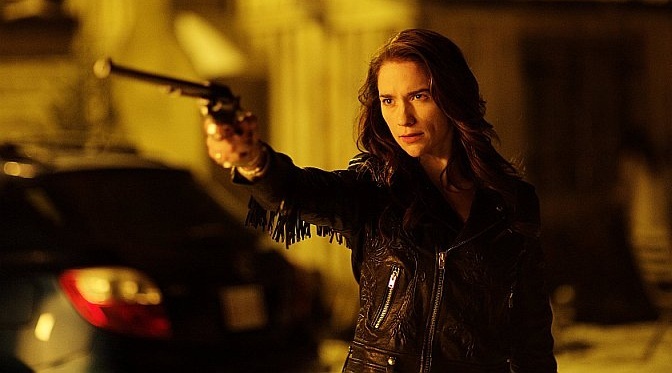 On this podcast Kevin and Bonnie are very excited to be joined by Melanie Scrofano who plays Wynonna Earp on the show. We chat with Melanie about her character, how she found Wynonna inside herself, those awesome Wynonna facial expressions and much, much more! Safe to listen to after you have seen season 1 episode 9 “Bury Me With My Guns On”. OMG! How funny is she!! I love Melanie in the episode where she is with Dolls shooting all the guns, her facial expression are gold!! amazing. I absolutely love this show and I can’t SYFY to give the go ahead and renew for a 2nd season.